The most famous club from the Mersey Beat era is of course The Cavern Club. 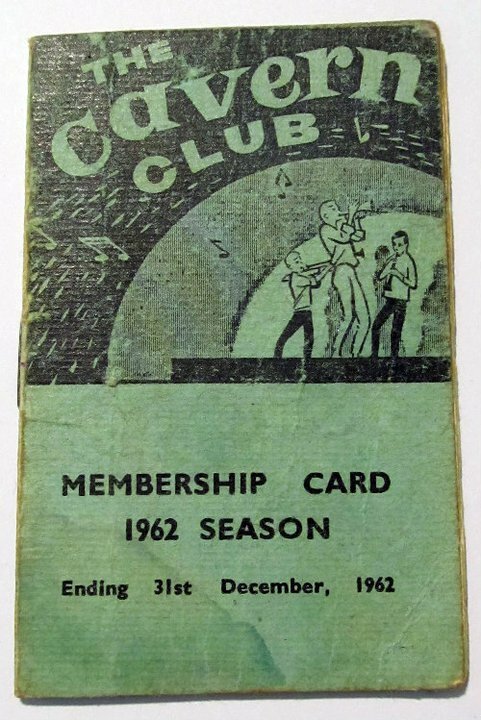 As the club rarely issued tickets for concerts the membership cards tend to be closest thing collectors can get to a ticket to a Beatles gig at the venue. This makes the cards covering the years that they played the venue more valuable than those of later years. 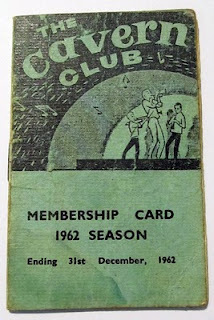 This Green 1962 Cavern Club Card is going into our Auction this year. (The cards came in various colours green and red ones seem to be the ones we see the most.) It has an estimate of £140-£150. 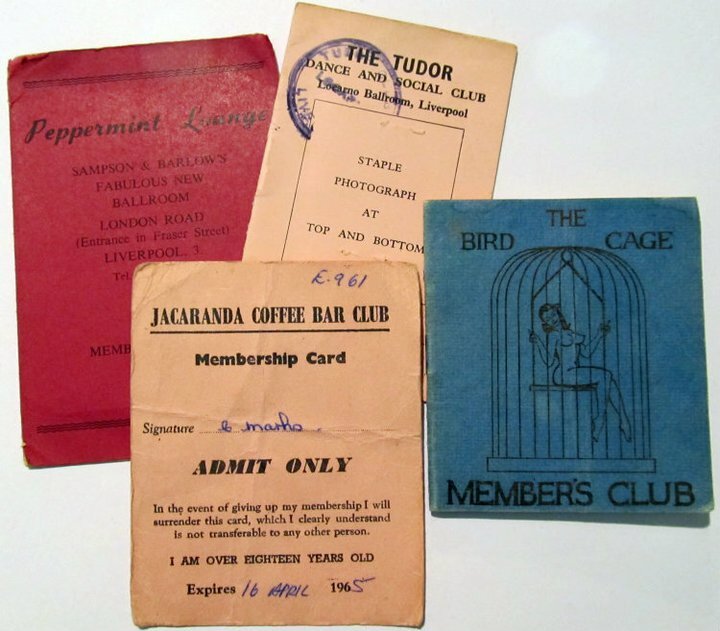 As the number of music groups in the city rose so did the number of venues for them to play. 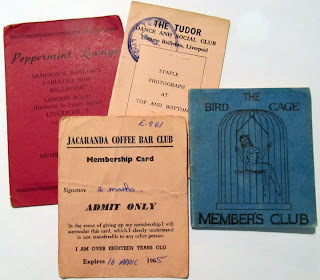 Most had some kind of membership card.